You know when you get an idea you’re super excited about and can’t help but immediately write your creative photographer friend to help you capture all the magic? That’s exactly how I felt when I thought of Confetti Pong! I got to thinking how cool it would be to reinvent Beer Pong with a colorful twist (that’s fun for all ages! 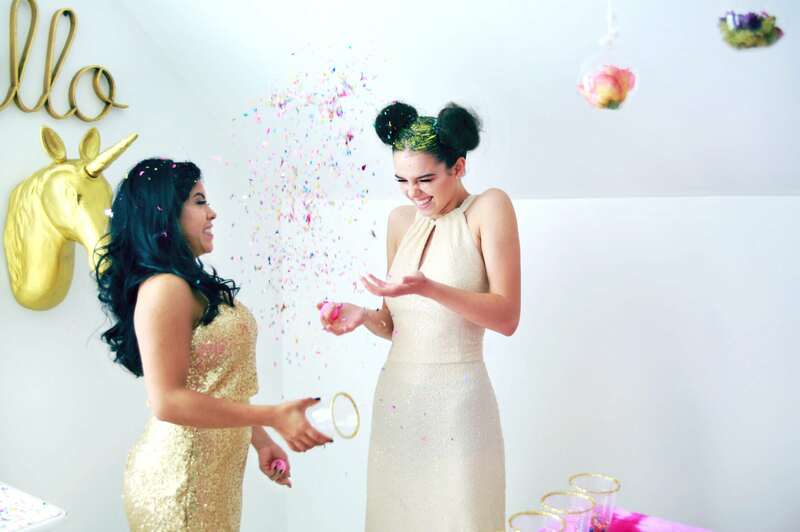 ), so I wrote mah girl Laura Dee, and the stars aligned to include Confetti Pong in a Unicorn-themed Sweet 16 photo shoot. Yaaassss. Set up 10 cups on each side of the table in a pyramid-like formation with one team stationed on each side. Take turns throwing the ping pong balls across the table, trying to get them in the cups on the opposite side. If you sink a ball in a cup of confetti? You have to throw the confetti in the air! 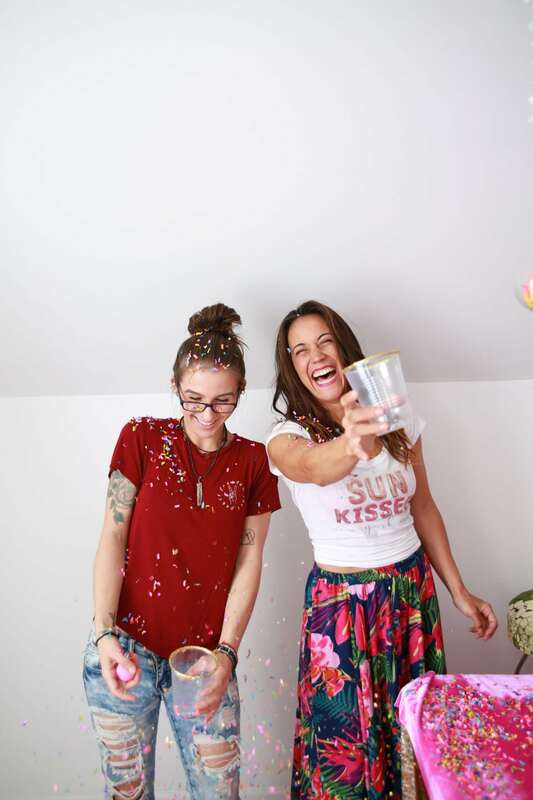 (Or dump it on your partner…😈) The team that throws all of their opponent’s cups of confetti wins! The game only gets more fun as it goes on, with everyone covered in confetti and looking happy. 😊 It’s addicting to play and you can’t help but smile the whole way through. 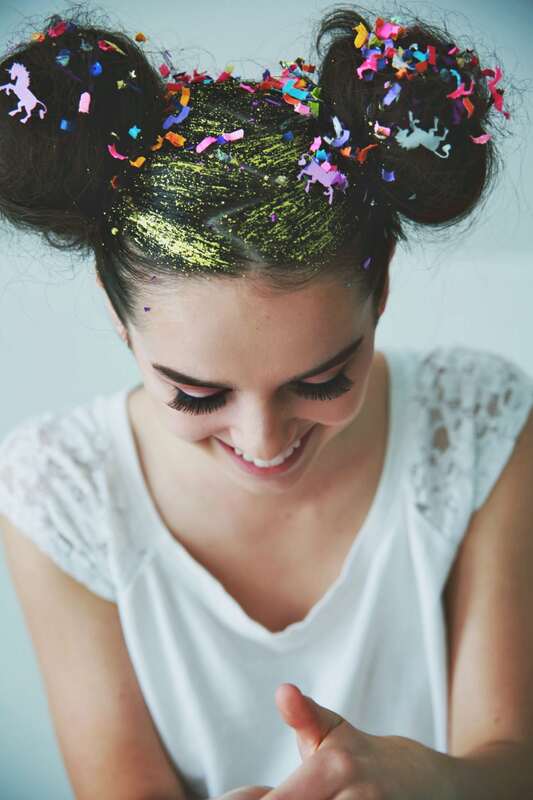 By the end everything will look like a confetti wonderland, which to me is the sign of any really awesome celebration! 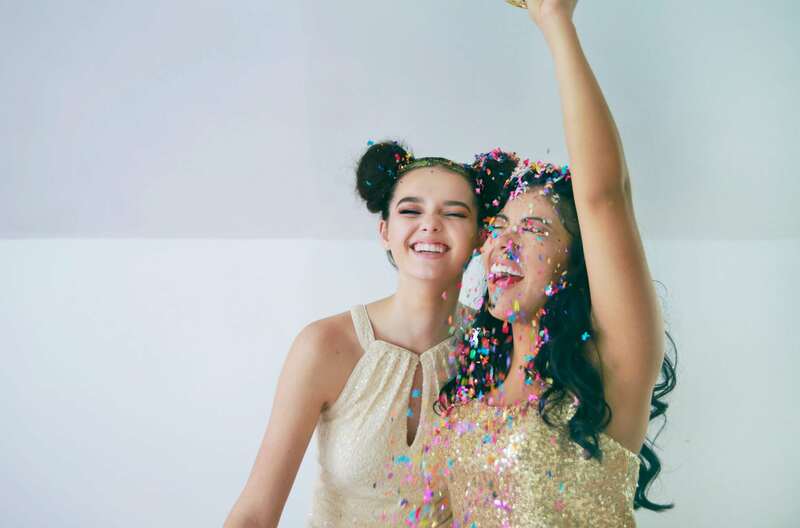 Want to see more from this amazing Sweet 16 photo shoot? 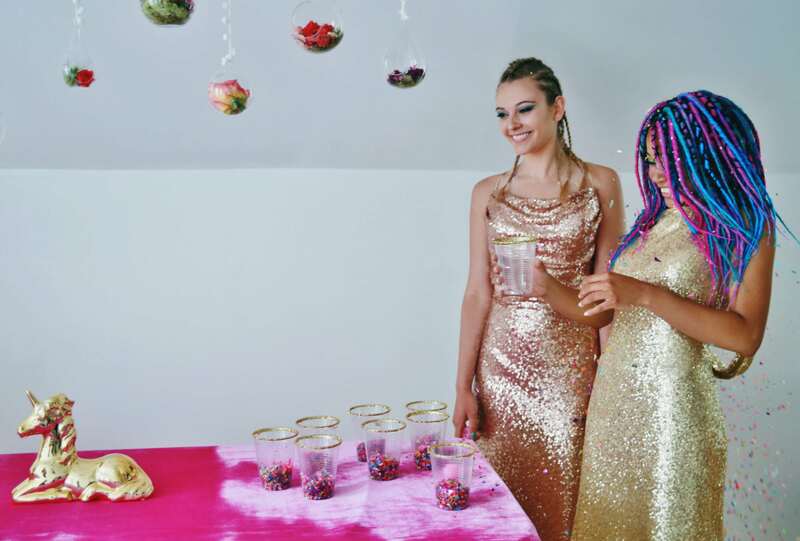 (There are tons of unicorns, colorful dreads, and even rainbow cake!) Head right on over to Laura Dee’s blog to check it out.